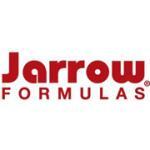 Jarrow Formulas Kids Multi - The perfect multi for the perfect kid! 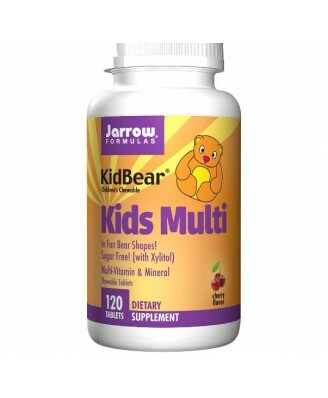 Kids Multi is a chewable daily multi-vitamin for children ages 2 to 12. 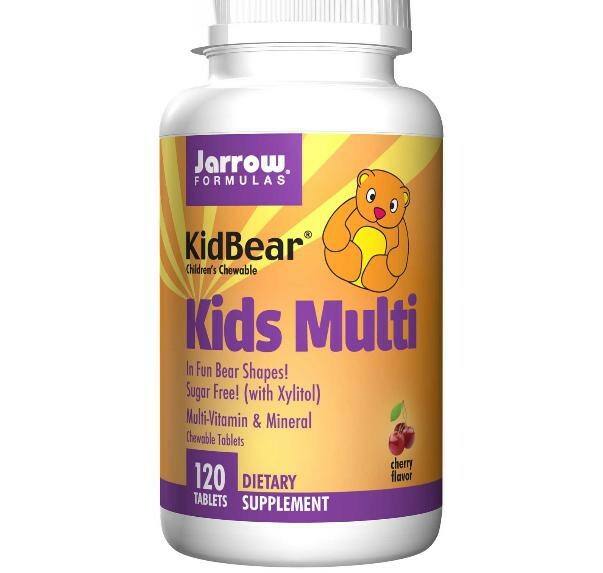 Kids Multi, an optimum potency multi, uses low calorie xylitol and Lo Han Fruit Concentrate (no sugar) and contains the carotenoid Lutein, which is an important antioxidant for the eyes. Bevat tevens de volgende ingredienten: xylitol, grape extract, biologische smaakstof, guar gum, citric acid, magnesium stearate (vegetarisch), silicon dioxide en Lo Han Guo concentraat (Momordica grosvenorii). Bevat SOJA. Geen wheat, geen gluten, geen zuivel, geen EIEREN, geen VIS en schelpdieren, geen NOTEN. 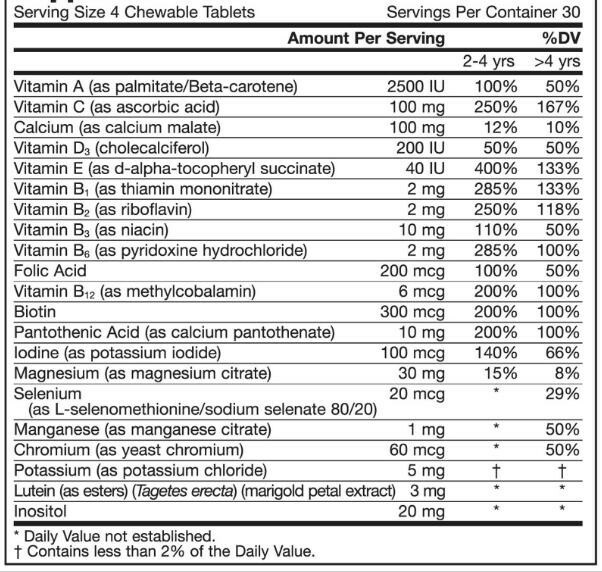 Children ages 2 to 4, chew 2-4 tablets per day. Children ages 4 to 12, chew 4 tablets per day or as directed by your qualified healthcare professional. Must be taken under the supervision of a parent or caregiver. Xylitol, grape extract, natural flavor, guar gum, citric acid, magnesium stearate (vegetable source), silicon dioxide and Lo Han Guo concentrate (Momordica grosvenorii). † Contains less than 2% of the Daily Value.